Nowadays, email marketing has become the most integral part of business. You always need to remind the customer about your updates, new products, testimonials etc. 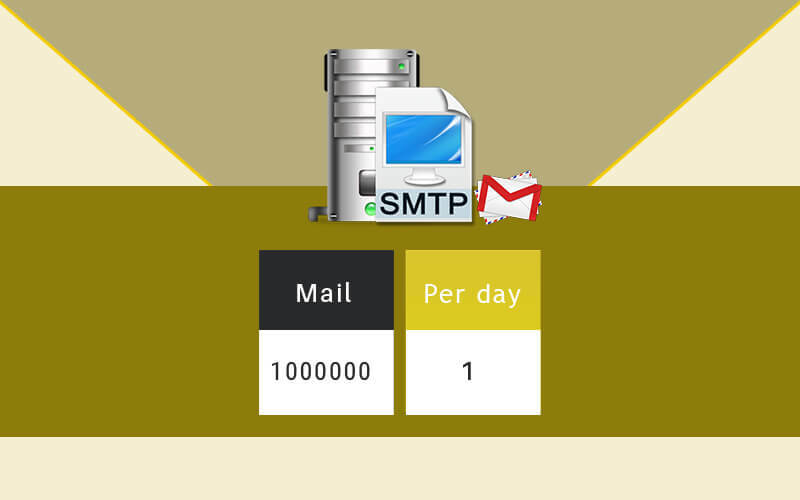 SMTP Mail Server consumes less time and less money to reach thousands of clients in a single minute. Advance SMTP Server helps you, not only to acquire new client list but also maintain relations with your existent clientele. Having been in this industry from a long time, we are known as the trustworthy bulk mail service provider. PHP Mail Script with SMTP Authentication server is block-list free. We guarantee you that all your mails will hit the inbox provided you have a genuine email id and spam free content. Being SMTP Email Service Provider we assure you 99.9% uptime. We offer the server along with C Panel , IP rotation with DKIM,SPF,DMARC,RDNS. We offer Pentium core processor with 4GB RAM , therefore it can manage millions of database with a single click. Considering the huge client base that we have, we proudly declare that we have set a very rational cost for our Advance SMTP Server as against the competition. It is an easy script to install because the backend developers helped me to go through it. The script is attractive and has good layout. The developers have enough tolerance to answer all my questions. Thank you for your incredible guys. I suggest all the users to obtain this script and to excel in your business. Easy to send bulk emails with faster response to the customers. Easy to use packed with useful features and perfect balance of customization.